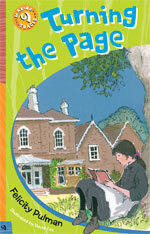 Written by Felicity Pulman and illustrated by David Cox. Published by the National Museum of Australia. a property in New South Wales in the nineteenth century. Turning the Page is supported by fun child-friendly interactive activities on the National Museum of Australia website, to further engage young readers.